Heat oil (1 1/2 inches) in heavy 3-quart saucepan or deep fryer to 350°. Lightly coat fish with 3 to 4 tablespoons Bisquick™ mix. Beat 1 cup Bisquick™ mix, the beer, salt and egg with hand beater until smooth. (If batter is too thick, stir in additional beer, 1 tablespoon at a time, until desired consistency.) Dip fish into batter, letting excess drip into bowl. Fry fish in oil about 2 minutes on each side or until golden brown; drain. 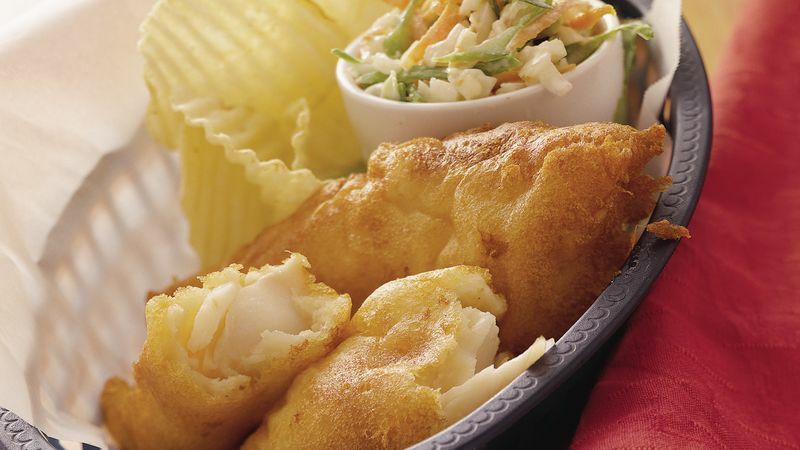 Serve hot with tartar sauce.